Developing strong communication skills is essential to effective leadership. In our Creative Writing and Drama Summer Camps, kids create and publish their own books, as well as build their confidence, public speaking, leadership and collaboration skills. As workplaces become more collaborative, the ability to clearly express ideas is, perhaps more than ever before, a core skill across all areas of interest. No matter how good an idea is, if it can’t be expressed effectively, it risks being lost in the shuffle of a very busy world. Likewise, the old saw is as true now as it ever was: great stories happen to those who can tell them. That’s the point where Power of Words begins, namely that student success is tied to effective written and verbal communication. It’s also about finding a bit of joy in there as well—debate is a growing area of interest in the public and private school sectors, not only because it’s important, but also because it’s fun. Power of Words offers afterschool and weekend sessions throughout the year to give students a chance to grow their skills in a supportive, dedicated environment. In addition, the summer sessions offer opportunities to drill down on debate and language skills, offering some variety to the season’s activities while also helping with the summer lull in academic work. While some programs aim at the high school level, the Power of Words session allow younger students to get their feet wet, which is a draw for many of the families that enroll. Enrol for 2019/2020 After-School program by May 31st to take advantage of the 10% early registration discount! Welcome to Power of Words Academy. We have campuses in North York (230 The Donway West) and Richmond Hill (10201 Yonge Street). We look forward to working with your children! Power of Words enrichment writing and public speaking program is for children in grades 2 to 8. The program runs the school year from September to June with classes held once a week for 90 minutes. 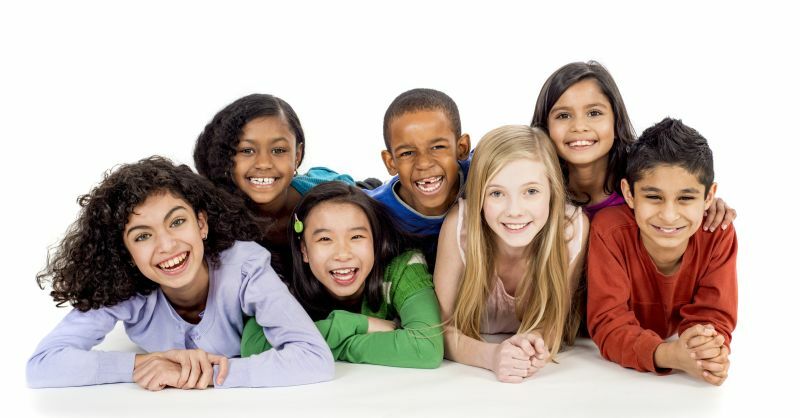 We offer a unique program that is stimulating and challenging, where your child will build the skills needed to master the art of writing and public speaking. At our Academy, we create a setting that gets students excited about learning! We are committed to guiding students and help them understand the value of academic achievement, personal goal settings and high expectations. The Power of Words platform is based on best practices, is researched based, and aligned with the Ontario School Curriculum. At our Academy, we believe that teaching is the key to student success. Our teachers use a variety of instructional strategies to help students succeed in the program. Our teachers have in-depth experience working with children and have a genuine interest in every students success and well-being. Our low student-to-instructor ratio provides teachers with the opportunity to develop strong relationships with their students and offer quality one-on-one time as needed. We are proud to have dedicated, enthusiastic teachers at Power of Words Academy. They are committed to the program, and to parents, to ensure that each student has a positive and enriching academic experience. Our mission is for your child to gain the knowledge, skills and confidence necessary to become effective writers and strong public speakers. After completing our program, your child will overcome fears, boost self-esteem and confidence, improve critical thinking skills and develop effective communication and leadership skills. At this camp, our impromptu and formal debates happen in partnership, normally in teams of four speakers who work together to develop sound cases, predict the opposition’s counterpoints, and brainstorm effective rebuttals. We aim for each camper to participate in two debate rounds daily. Campers will receive constructive feedback after each round, with the intent to advance their delivery and critical thinking skills. These results are not surprising. Our schools do not have sufficient resources and expertise to build a strong foundation in these areas. At Power of Words Academy, we aim to fill this gap, by teaching students to be critical thinkers and strong communicators. If you would like to learn more about our program, please visit our website (powerofwordsacademy.ca) or message us.